Whether it’s because of the overreaction to Richard Sherman’s outburst following the NFC title game or the fact that Peyton Manning can see the light at the end of his career, the Broncos have become “Joe Public’s” team for Super Bowl XLVIII. It’s hard to blame the betting public for wagering on the Broncos at a near 70-percent clip. Teams have a difficult enough time beating Manning when he has six days to prepare for them, let alone two weeks. Denver also is a matchup nightmare for any defense thanks to Demaryius Thomas, Julius Thomas, Wes Welker, Eric Decker and Knowshon Moreno, and John Fox and Jack Del Rio has the defense playing as well right now as any point in the season. Do you feel a “but” coming on? I like the Seahawks. I’d shop around until I found the line at 3 or bet it up to a field goal, but it wouldn’t shock me if Seattle won outright. The team with the No. 1 defense in the regular season has often fared well in the Super Bowl, going 12-4 straight up over the history of the game. Not only did Seattle have the best defense in the league this year, the referees often “let ’em play” in the Super Bowl, which benefits the physical nature of the Hawks’ back seven. It’s not easy, but the way to beat Manning is to disrupt his timing with his receivers, just like the Colts did to Denver in Week 7. Indianapolis won that game in large part because its defense forced three turnovers and Andrew Luck played mistake-free football, but the Colts’ cornerbacks also got their hands on the Broncos’ receivers at the line of scrimmage and often re-routed them off the ball. That flustered Manning and while he still threw for nearly 400 yards and three touchdowns, it was a enough to send Denver to its first loss. The Seahawks play “Cover 3” better than any team in the league thanks to Pete Carroll. Outside of Week 2 when he shadowed Anquan Boldin (and subsequently shut him down), Sherman doesn’t “travel” a lot but he and his fellow cornerbacks know Carroll’s system perfectly. The Hawks like to funnel everything inside to where all-everything safeties Earl Thomas and Kam Chancellor can make plays between the hashes. K.J. Wright, Malcolm Smith and Bruce Irvin can also be a handful to deal with in coverage from their linebacker positions. Carroll is also multiple with his fronts, meaning that half of his defensive line will play one-gap while the other half or at least some personnel will play two-gap. That can also cause confusion for an offensive line, especially one like Denver that uses a zone blocking scheme. It doesn’t happen often, but if you can confuse Manning and/or his offensive mates, that’s another way to beat the Broncos. Speaking of Carroll, he’s likely to do something in this game to steal a possession or take a shot down field in order to come up with the big play. Fox, for as solid as he is, often plays things conservatively and I think in the end that could cost him. We saw what happened the last time Manning was in the Super Bowl and Sean Payton rolled the dice with an onsides kick. In the battle of Carroll versus Fox, I’m siding with the coach that’s going to roll the dice. On the other side of the ball, there’s no question that Seattle’s offense is a concern. They haven’t been right in over a month. But hopefully Darrell Bevell has discovered something over the last two weeks and realizes that he has neutered Russell Wilson to the point of diminishing returns. When the handcuffs were off Wilson in the second half of the NFC title game, he delivered. While the offense still runs through Marshawn Lynch, Bevell needs to allow his young quarterback to make plays. And while Wilson is a Super Bowl virgin, he’s also one of the more poised young signal-callers in the league. Having Percy Harvin back should also help, if nothing else than to make Denver be aware of him. In the end this is one of the best Super Bowl matchups we’ve seen in quite a while. Nothing would necessarily surprise me although the only true value in this game is taking the points with a Seattle team that should thrive in the underdog role. 40 years ago this month, fifth-year NFL quarterback Terry Bradshaw came of age. The former #1 overall draft pick in 1970 had struggled in his first five regular seasons, averaging just 1,504 passing yards per season, while throwing 48 touchdowns and 81 interceptions. But in the 1974 playoffs, something clicked. In wins over the Buffalo Bills, the Oakland Raiders, and finally, in the Super Bowl IX against the Minnesota Vikings, Bradshaw played the best football of his career, steadying himself long enough to let a powerful running game and legendary “Steel Curtain” defense dictate the tempo of games and slowly bleed out opponents. We spoke to Terry about his progression as a quarterback, the Super Bowl and the Steelers dynasty of the 1970s. 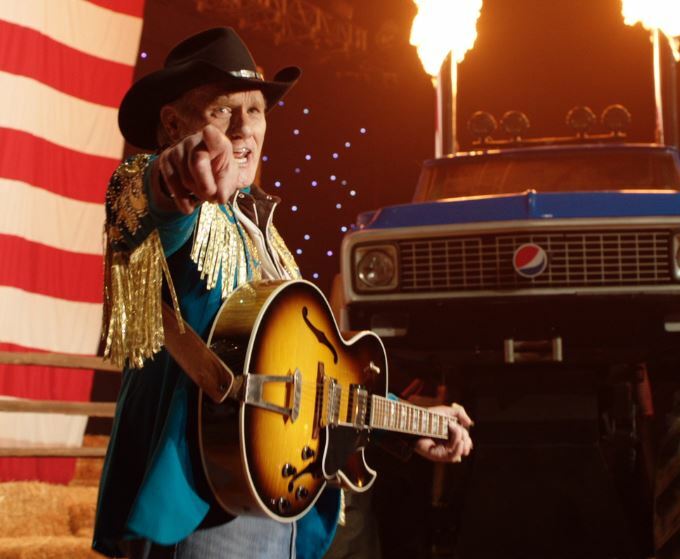 Talk about your experience working with Pepsi on the Pepsi GRAMMY Halftime Show. “This is just great, man. My agent called me and described the script and it sounded like so much fun, I couldn’t wait to do it. It was so much fun to make. And Deion (Sanders) and Shannon (Sharpe) were all laughing at each other. And coach Ditka was a hoot! Just four old guys out there showing off our stuff! As a rookie, you were the first overall draft pick, and in the ensuing season, you threw a league leading 24 interceptions and split time with Terry Hanratty. What are your thoughts on that year in hindsight, after all the success?